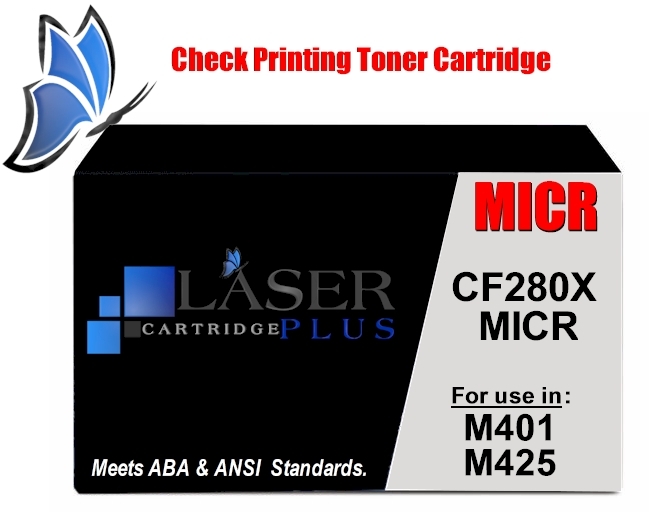 CF280X MICR, HP M401 M401N M401DN M425 M425DN M425DW MFP MICR Toner is a modified HP black CF280X MICR cartridge used for check printing in your laser printer. This HP M401 MICR Toner delivers excellent print value. This HP M401n M401dn MICR Toner, M425 M425dn M425dw MFP MICR Toner is a Modified HP black toner used in MICR check printing. Save up to 32% per page by using this High Yield cartridge instead of the standard yield. 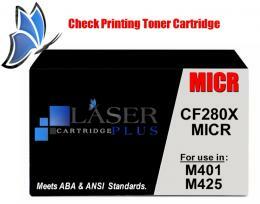 Compatible with MICR Cartridges: CF280X, CF280A, 80X, 80A.